HITT SITTING. 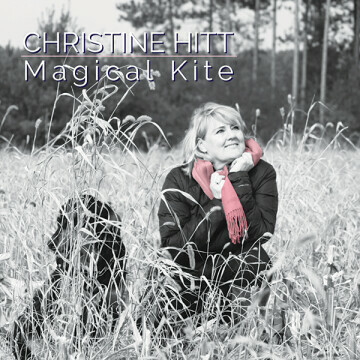 Christine Hitt, a local jazz singer, has a full album – her first in over 20 years – called Magical Kite, inspired by her family and childhood memories. She wore a shimmering black dress, nodding along to the improvisations of pianist Josh Gallagher, saxophonist Dr. Michael Schultz, drummer Jared Mondlock, and on bass, her son Eric Hitt. At times, especially when she introduced Cory Hitt, her younger son who had graduated from high school days prior to the performance, on vocals, it was hard to tell whether the sparkles on Christine Hitt’s cheeks could be attributed to glittering makeup or tears. 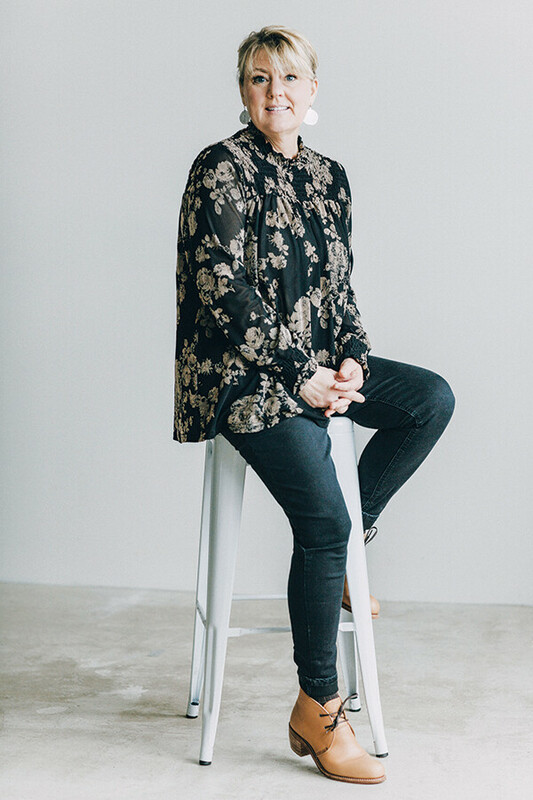 When the solos were done, she soared into the second verse of her first original song and the title track of her first solo album in nearly 20 years, Magical Kite. Christine’s first solo album, You’d Be So Nice To Come Home To, debuted August 1, 1999. She worked with producer Rick Hayden to record standards like “I’ve Got a Crush on You,” and “Dream a Little Dream of Me.” The result received national play; you might have noticed her scatting while browsing for outfits at a Nordstrom, or walking around an airport. Once, she was sitting at an Olive Garden with her sons, who told the waitress gleefully that the lady singing on the radio was their mother. In the nearly two decades following the release of You’d Be So Nice To Come Home To, Christine has cultivated a rich career in teaching. She currently instructs at the Eau Claire Music School, and works with UW-Eau Claire jazz students. Several of her students have gone on to have successful musical careers of their own. Others have pursued different paths, and she says she is proud of all of them for what they do. She also raised her three sons during this time, watching them grow to have their own interests in music and elsewhere. The release party for the album took place June 8 at the Gallery at The Oxbow Hotel, and by the time the music started at 8pm, people were standing at the back for lack of places left to sit. Christine began with “Wade in the Water,” which she delivered with punchy, ominous inflection. Over the course of the night she guided the audience through a number of her favorite tunes, many of which had been transformed into entirely new pieces of music by herself and producer Geoffrey Keezer. The pair collaborated to reimagine Stevie Wonder’s “Don’t You Worry ‘Bout a Thing” as a slow, reassuring conversation between a mother and son, which Christine performed with Cory. On stage Friday night the pair crooned the duet, alternating verses and converging for the chorus, Cory descending chromatically beneath Christine’s melody. “And Eric too, when we play together, when people see us play together, they always say there’s this unspoken thing that happens between the two of us,” Christine continued. She remembers taking Eric to his first gig when he was in sixth grade – a music baby, she called him – at a St. Patrick’s Day bingo session. Magical Kite was in great part motivated by her desire to perform with her sons. She wanted to record her relationship with them into the music, just as she had made record of her life in her first album. When Christine was recording her first album, she said all she had to do was show up and perform. But Keezer had other plans for her latest work. He encouraged her to use her influence as executive producer to make the music her own, and to make her own music. As she searched for inspiration for an original piece, she once again looked to her children, and this time, to her father. Magical Kite is a story from her childhood. On an April day in Two Harbors, Minn., her father took her out to fly a kite. While she wasn’t looking, he tied notes to the tail of the kite, and the two sent it soaring. When it fell to Earth, he “discovered” the notes, all addressed to her. They would say how lovely it was up in the air, or the kite would compliment her coat. “You start to think that anything is possible if a kite is talking to you,” Christine said of the experience. “It just opened up a whole creative side.” She sings about how she has grown to realize, as a parent, the value of the lesson he taught her.